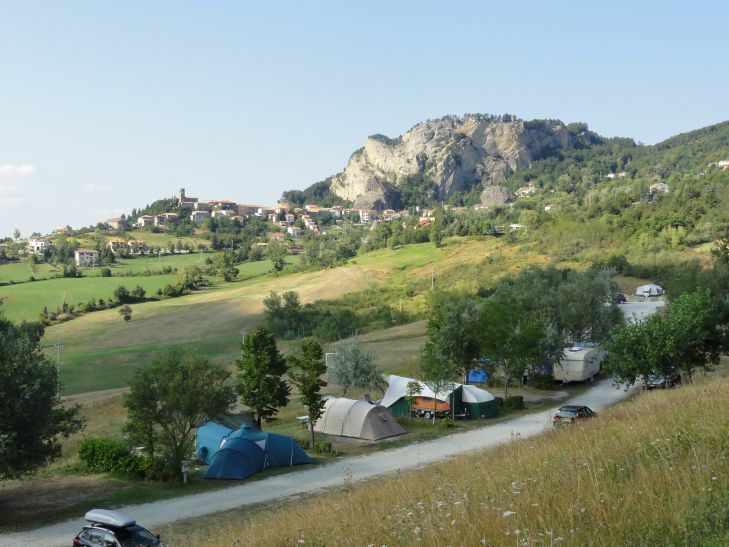 Camping Perticara covers an area of 8 hectares, on which 70 spacious pitches have been created, each one around 100 m2. Each pitch has an electricity connection and is close to washing facilities. The site is located on the side of a hill, giving each pitch a marvellous view of the area. The pitches are easily reached by cars with caravans. And if the hill proves to be a problem, Bert will be only too please to lend a hand with parking and reversing. While the foundations are a bit stony, the ground on the terraces is perfectly suited for pitching tents. A hammer is a handy tool for giving unwilling pegs a bit of encouragement. 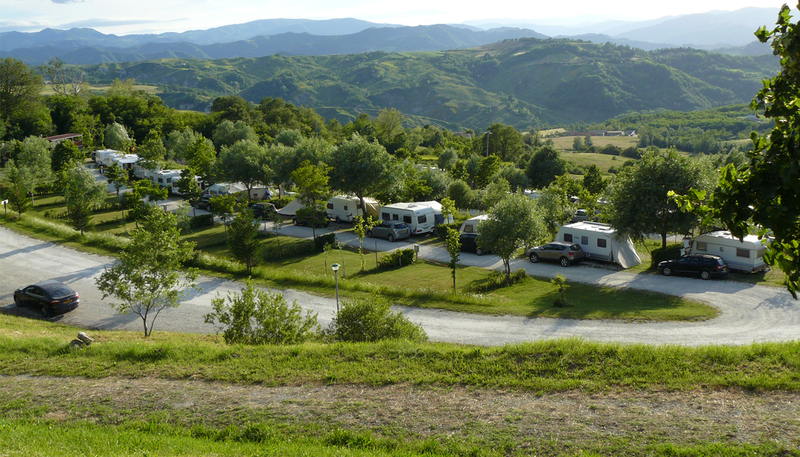 The pitches are spacious enough for you to park your car next to your tent or caravan. However we do ask that you do not disturb other guests late at night and leave your car in the car park.